Batman v Superman: Dawn of Justice has finally arrived, and with it comes the dawn of not just justice, but of a whole new era of DC superheroes at the movies. The film introduces a new Batman to go along with the Superman audiences met in 2013's Man of Steel, and it also features Wonder Woman, who has her own movie due out next year, along with cameos from the heroes Aquaman, Cyborg, and The Flash. Each of these three comic book legends will have their own solo film at some point, and already, many are counting down the days till when The Flash movie comes out. Unfortunately for fans, there's going to be a bit of a wait before The Flash movie dashes into theaters. The film is currently fourth (fifth if you count next February's The Lego Batman Movie) on DC's current slate of movies, after this August's Suicide Squad, next July's aforementioned Wonder Woman, and next November's The Justice League: Part One . That leaves 2018 as the year of The Flash, and the film is currently scheduled to open on March 16, 2018. That said, there's still plenty of reason to get excited for the upcoming movie. Well, if you can get over one big casting change. Fans of the CW's The Flash may be a bit disheartened to learn that Grant Gustin will not portray the hero in the film. 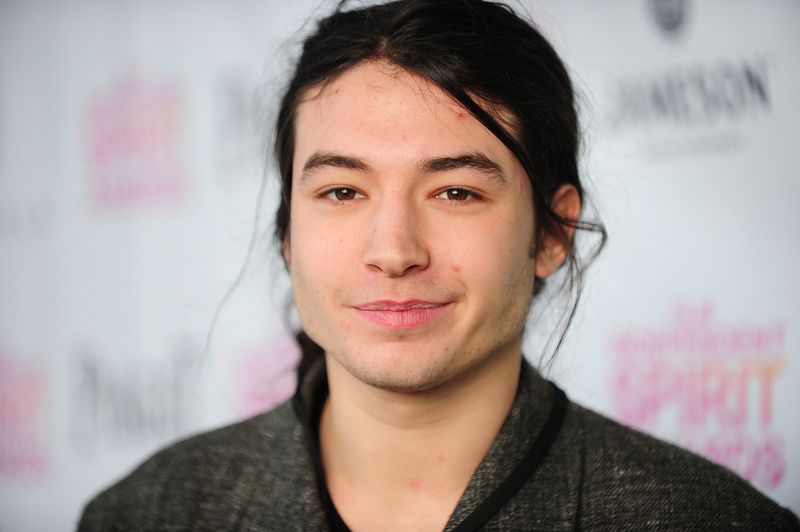 That honor has instead gone to actor Ezra Miller, who cameos in Batman v Superman as the character. Zack Snyder, the director of that film and one of the chief architects of DC's burgeoning movie universe, recently told The New York Daily News that the reason Gustin is not in the movies is because the tone of the CW series doesn't match the tone of the movies. With that statement alone, fans will likely conclude that The Flash movie will have a much darker and more somber tone than the fun loving series, in order to better match up with the comparatively dreary Man of Steel and Batman v Superman. As for the actual content of the film, other than a possibly dark tone, not much is known at this time, but the movie sounds like it will be an origin story. According to DC's Chief Creative Officer Geoff Johns, Miller will portray the Barry Allen version of The Flash, who receives his powers after being struck by lightning while doing forensic work trying to prove his father's innocence in the murder of his mother. The Flash's speed will be so great in the film that he will be able to travel to other dimensions and even through time, making for what should be a very interesting and different type of superhero movie. No cast other than Miller has been announced, but the film will be directed by Seth Grahame-Smith off of his own screenplay, in what will be his feature directorial debut. Grahame-Smith also created the MTV series The Hard Times of RJ Berger, and wrote both the novels and screenplays of Abraham Lincoln: Vampire Hunter and Pride and Prejudice and Zombies, so he definitely brings some varied work experience to the table. So Ezra Miller's The Flash will race into theaters in about two years, in what sounds like is going to be a dark, time-traveling, dimension-hopping romp. Excited yet?